This year, make sure you don’t get conned out of Christmas, by thinking twice before you click and taking some simple precautions. That way, you can make sure it’s a festive season to remember… for all the right reasons. But Christmas is also a favourite time of year for criminals, well aware that you’re busy online and have too many other things on your mind to think about safeguarding yourself, your family and your finances. If something seems too much of a bargain, it’s probably poor quality or doesn’t even exist. Always check payment pages are secure, and log out when you’ve finished shopping online. AUCTION BARGAIN … OR NOT? When making a purchase from an auction website, use insured payment methods like PayPal and never do a bank transfer to people you don’t know. Do all you can to check the seller or buyer are authentic. And look out for fake goods: they’re illegal and cost livelihoods. Buying gig or event tickets as a gift, or for yourself? To avoid fraud, buy only from official sources, and never pay by direct transfer. Whether you’re planning a break at Christmas or next year, make sure the holiday or flight is genuine by researching it thoroughly, and check travel agents for an ABTA/ATOL number. Scam emails, calls, texts and posts are getting cleverer and you’re bound to get some over Christmas. Think twice before you get talked into anything, however busy you are. YOUR PASSWORD IS YOURS. KEEP IT THAT WAY! Passwords that are easy to guess, that you use for more than one account or that you share with others, are a no-no! Secure Wi-Fi is vital for your privacy. At home, check your router security settings. Out and about, never use free Wi-Fi hotspots when what you’re doing is private. GREAT OFFER, OR SUBSCRIPTION TRAP? Don’t sign up for ‘free’ or ‘low-cost’ trial goods without thoroughly reading the small print. You could be signing up for massive direct debits. 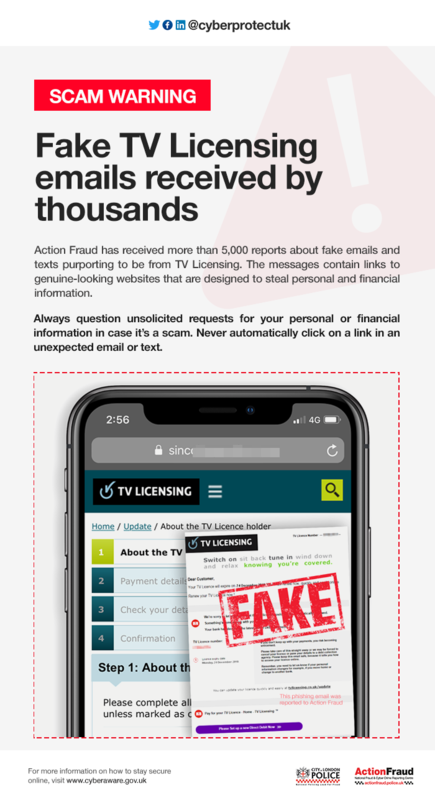 Don’t open attachments or click on links in festive (or any other) emails you’re not expecting, as they could be scams. And be careful with ecards as they can be fraudulent too. And we don’t mean coughs and colds! Always have internet security (antivirus) software and apps switched on and updated. Links and attachments: Sussex Police will only ever link you to secure web-sites we trust. We will only send you attachments where we believe it is absolutely necessary.